TACOMA – A U.S. District Court ruled today that the state of Washington did not violate the Foreign Affairs Doctrine of the U.S. Constitution when it denied a water quality permit for the Millennium Bulk Terminal coal shipping project in Longview, Washington. This is the second time the court has narrowed the scope of the case, leaving only the Interstate Commerce clause issue to be decided. 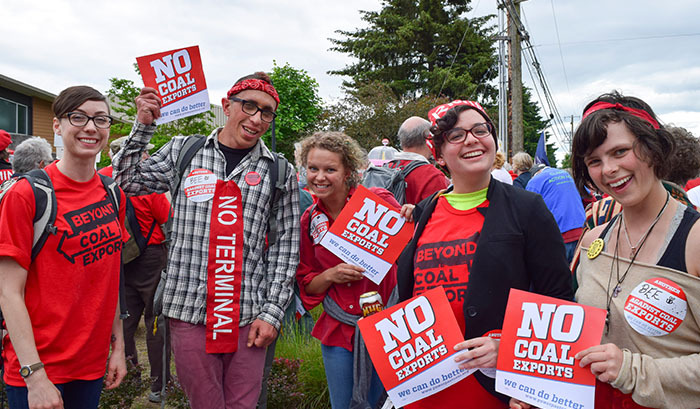 Judge Robert J Bryan ruled that the Trump Administration’s desire to increase fossil fuel exports did not mean that coal exports were an issue of foreign policy that would justify overruling Washington State’s right to protect water quality. Today’s decision follows the dismissal of the federal preemption claim last December that also narrowed the scope of the case. These rulings mean that the case rests on the company’s contention that the state’s permit denials violate the “commerce clause” of the U.S. Constitution, a clause that limits the ability of state and local governments to unfairly discriminate against out-of-state commerce to protect in-state interests. A coalition of environmental groups, led by Washington Environmental Council (“WEC”), intervened in the lawsuit to stand with the State and defend the state’s right to protect itself from the project’s impacts to water quality. Washington Environmental Council, Climate Solutions, Friends of the Columbia Gorge, Sierra Club, and Columbia Riverkeeper are represented by attorneys Jan Hasselman, Kristen Boyles, and Marisa Ordonia of Earthjustice.